Staff training and quality control are vital components of our marketing process. Here our Creative Director is going over with one of our magazine editors changes needed on a client’s magazine. 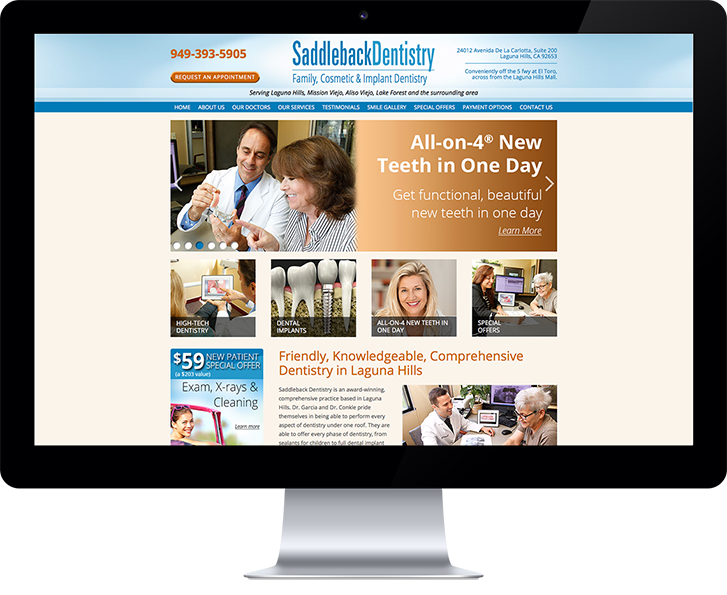 We have helped dentists successfully market their practice since 2008. Through the years we have isolated the most successful and cost-efficient methods to market dental services, specializing in dental implant marketing. We know you have a lot of choices when it comes to your marketing and we hope in this page to highlight some of the benefits of choosing to work with Gilleard Dental Marketing. Results. We are results driven. We keep track of all your marketing and make sure it is working. Over the years we have catalogued what is successful and in addition we use market research to ensure we are getting the right messages and imagery for your particular practice and geographic area. The best testimony to our results is, of course, our clients. You can read some of their stories here. Our marketing expertise. Our principals come from an ad agency and corporate background with a successful record in producing results. They have manned our company with professionals in their fields and trained them extensively on scientific marketing principles and successful dental marketing procedures. Scientific Marketing. Just like dentistry, marketing is a science and art. We employ scientific marketing to isolate the exact messaging, medium and distribution of your marketing, whether it’s your website or a print piece. We keep track of results and monitor return on investment. The art of marketing is in creating aesthetic designs that attract and appeal to prospective patients. But even this involves a scientific approach, as we conduct market research to establish which imagery will work best for a marketing piece. Marketing that engages and creates response. All our marketing is designed to attract and engage the prospective patient and motivate him or her to make an appointment. Excellent customer service. We are responsive and always aim to please! We stay in good communication with our clients throughout the marketing process. Innovative. As we are a creative marketing group, we are always testing for new and better ways to market for our clients! Full customization. For best results, fully custom marketing is necessary. Every practice is unique and has its unique strengths and we make sure these are reflected in your marketing. Google Certified Adwords Partner.We will ensure that if you are doing Internet marketing it is set up correctly and is working at its maximum potential. To make an appointment, call 855‑486‑2410 or click here to request an appointment online. In 2008 Keith and Deborah Gilleard formed Gilleard Dental Marketing in response to the request from several dentist friends to help them. Our dental marketing company has grown since then, and we now provide marketing services for dental practices all over the United States. The majority of our clients provide full dental implant services. Coming from a corporate background of market research and marketing, it was natural for the Gilleards to gravitate toward helping dentists market their high-production cases, especially dental implants. We have developed marketing systems that successfully attract and engage an implant dentist’s target markets. We use market research that allows us to get into people’s minds to find out what they want from an implant dentist. Our knowledgeable interpretation of the data gives us a blueprint to create compelling dental implant marketing that motivates people in your area to call your practice. Dental implants are currently in great demand across the U.S. With 3D technology, they are more accessible than ever for people needing tooth replacement. With this high demand, and the increasing proliferation of dentists learning how to place implants, has come increasing competitiveness. Not only from the individual dentist and specialist, but also from corporations forming chain implant services. In order to get the volume of implant patients you would like it, is vital, therefore, to have marketing that stands out above other marketing. We provide unique Internet marketing and direct mail marketing campaigns as well as high quality video marketing. To ensure you get the most out of your dental implant marketing, you can also take advantage of our receptionists training programs. Call us at 855‑486‑2410 for a complimentary consultation, or click here to schedule your consultation online.